With the Bulk Clone tool, you can now launch up to 50 different campaigns at a time! First, it is important to remember that you are "cloning" an existing campaign. This refers to any campaign that has been previously launched from your Viralstyle account dashboard. Note: you cannot "launch a campaign" from the Bulk Clone dashboard. 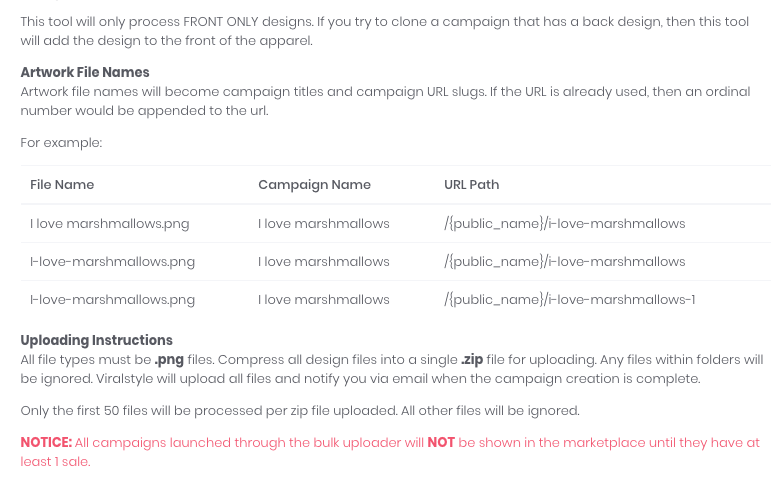 All products, colors, pricing & settings/preferences for the campaign you choose to clone will be used for each of the cloned campaigns in the .zip file. Launch a new campaign, or be sure the campaign you're cloning has all settings/preferences in place. You will not be able to adjust any of the campaigns settings during the Bulk Clone process. 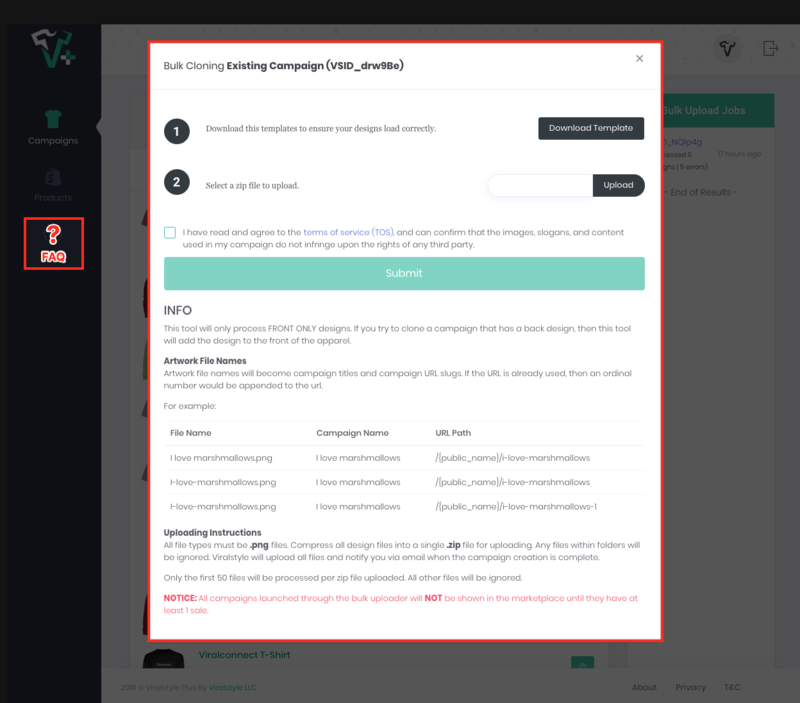 To update each of the cloned campaigns settings after import, you'll have to open the details page from your account dashboard for each individual campaign that needs an update. This will take much time and can be very tedious, but can all be avoided by checking your campaigns settings BEFORE you Bulk Clone! To begin, click the Options tab (•••) to the right of the campaign you'd like to clone, then click the "Bulk Clone" option. You'll notice that guidelines, terms and other information will pop up. If this is your first time using the Bulk Clone tool, we strongly recommend that you take a minute to review this page & ALL FAQ's before you proceed. All Bulk Clone FAQ's can be found in the left column of the Bulk Clone Dashboard (after logging in). 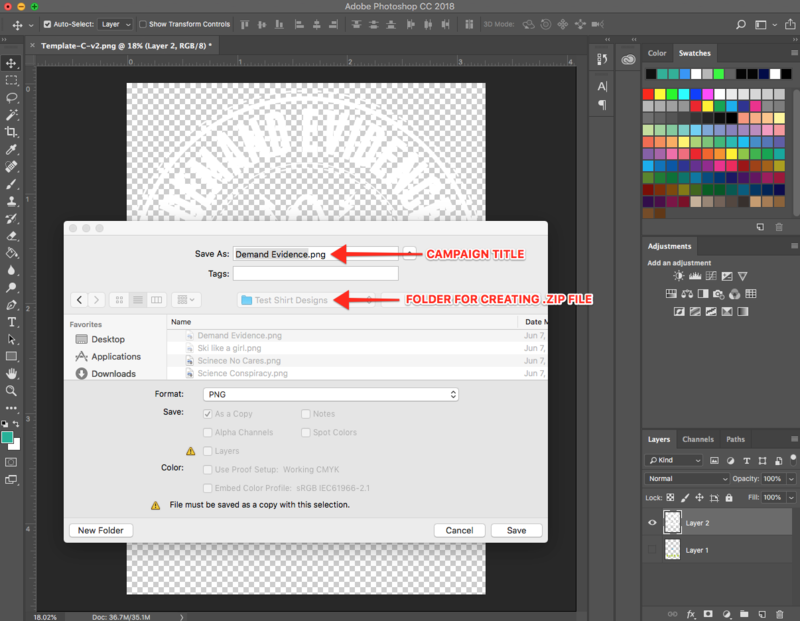 The most important part of this step is to remember that the file name, will be the title of this designs campaign. Repeat STEP 2 & STEP 3 for all remaining designs. You may have timed out of the Bulk clone Dashboard. In this case, click the Options tab (•••) to the right of the campaign you'd like to clone, then click the "Bulk Clone" option. Click "upload" to select a .zip file from you computer, check the box if you agree to terms & SUBMIT!